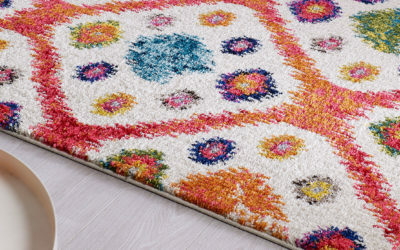 Home and lifestyle retailers attending the Spring Fair were treated to an extraordinary display of rug styles from Flair Rugs, as we showcased our latest introductions and enduring favourites. The latest Luxmi range took centre stage with visitors shown delights such as Solitaire, Persian Fusion, Cairo and Alpaca. 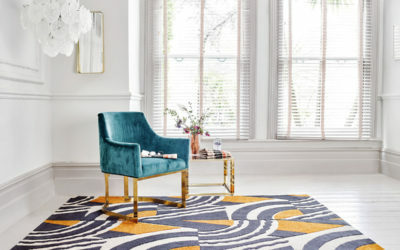 Named after the mother of founder Dinesh Shah, Luxmi is the brand’s premium residential collection, so proved the perfect introduction to Flair Rugs for home and lifestyle retailers at the show. Luxmi also features the Inspired by V&A capsule collection and the supplier previewed the SS18 launches in the collection, including a striking design inspired by 1920s promotional posters for ocean liner voyages. Selected styles from the value-driven Simplicity and core collection were also on show at the exhibition, highlighting that Flair Rugs has a depth of portfolio unparalleled by any other supplier and offering something for every budget and style. Presented on a new look stand, dominated by high-gloss white, the array proved impressive to many visitors. After four-days forging relationships with interiors and lifestyle retailers, we’re looking forward to seeing our rugs enjoyed in more homes right across the country. 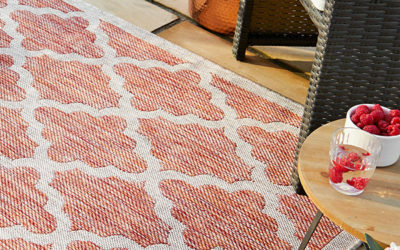 Explore the Flair Rugs collection here.